BUFFALO, N.Y. — Supervolcanoes capable of unleashing hundreds of times the amount of magma that was expelled during the Mount St. Helens eruption of 1980 are found in populated areas around the world, including the western United States. "Intuitively, most of us would think that for the pyroclastic flow to go such an extreme distance, it would have to start off with a very high speed," says study co-author Olivier Roche. "But this isn't consistent with what we found." The research was conducted by Roche at Blaise Pascal University in France, David C. Buesch at the United States Geological Survey and Greg A. Valentine at the University at Buffalo. It will be published on Monday, March 7 in Nature Communications, and all information in this press release is embargoed until 5 a.m. U.S. Eastern Standard Time on that date. 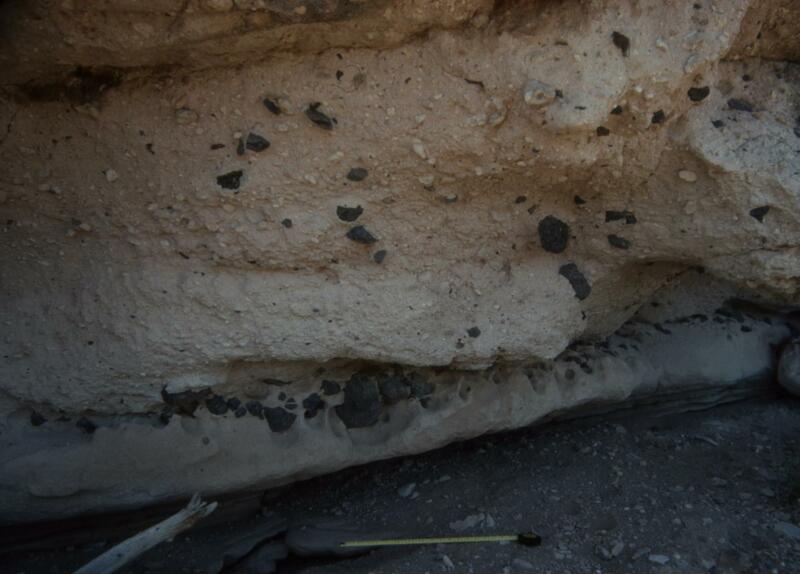 "We want to understand these pyroclastic flows so we can do a good job of forecasting the behavior of these flows when a volcano erupts," he says. "The character and speed of the flows will affect how much time you might have to get out of the way, although the only truly safe thing to do is to evacuate before a flow starts." "I always tell students that they should take good notes while they're working in the field, because you never know when it could be useful," says Valentine, who has a fat binder full of Kodachrome slides showing images he snapped around the Silver Creek caldera. Based on Roche's model, the scientists determined that the ancient pyroclastic flows from the supervolcano would have had to travel at speeds of about 5 to 20 meters per second (10 to 45 miles per hour) to pick up rocks as heavy as the ones that Buesch and Valentine saw. It's unlikely that the flows were going much faster than that because larger rocks on the landscape remained undisturbed, Valentine says.